CVC NIGHTGUARD is non-hazardous product that is inherently biodegradable and will remove all petroleum based contaminants such as oil, grease, semi-cured varnish and paint, waxes and adhesives, silicones and oil based inks. It is based on specially formulated high quality natural oil extracts and derivatives with ozone safe solvents and it is environment friendly. 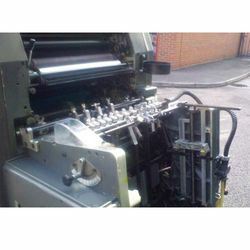 It is especially used for cleaning printing press rollers at the end of the day. 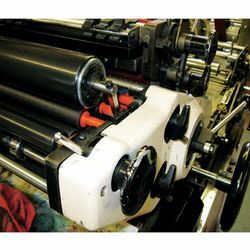 It will remove all ink deposits from the roller and prevent sticking of rollers overnight. BENEFITS: Fast Acting : Excellent fast acting cleaning power Economical : Has high Wetting power which helps reduce litreage Environmental Friendly : Inherently biodegradable solvent. 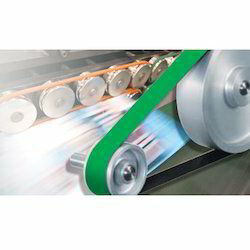 APPLICATIONS: Used for cleaning printing press rollers at the end of the day. It will remove all ink deposits from the roller & prevent sticking of rollers overnight. Specifications CHARACTERISTICS TYPICAL VALUES Appearance ... Clear / Colourless Density @ 15C, gm/ml. ... 0.89 Flash Point C (ABEL) ... Below 10 Performance Test ... All metal, plastic and rubber surfaces get cleaned properly without any damaging effect. PACKING: 550-ml. Aerosol Tin 5-litre carboy. 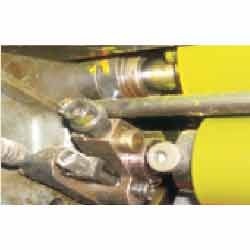 MOLYBOND - 100 is a stable suspension of microsize Molybdenum disulphide in a binder solvent system to achieve a bonded lubricating film by spraying over the bearing surface. It is a single component, air-drying, ready-to-use spray, which can withstand extremes of temperature and loads, when applied over the bearing surfaces. CVC MOLYBOND-100 establishes uniform coating, forming a solid lubricating film of considerable tenacity. It forms thermally and electrically conductive film. Improves grip and transmission efficiency of flat drive belts. All bearings, Pressure Springs, Roller Shaft wheels etc. Looking for Printing Industry Products ?